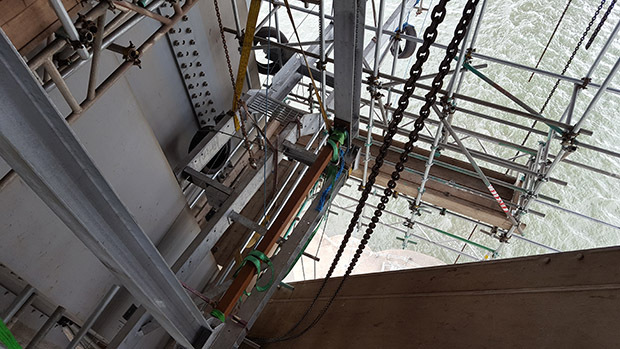 Working with a scaffold design company we have checked the temporary scaffold systems for the maintenance works to the Forth Road Bridge. This included scaffold systems suspended from the bridge which is subjected to high winds running off the Firth of Forth. It comprised design of systems required for urgent maintenance in late 2015 in which steelwork defects were discovered following a routine inspection resulting in the closure of the bridge.